signs and symbols presents Primal Forms by English artist Rachel Garrard from April 29 to June 2, 2018. 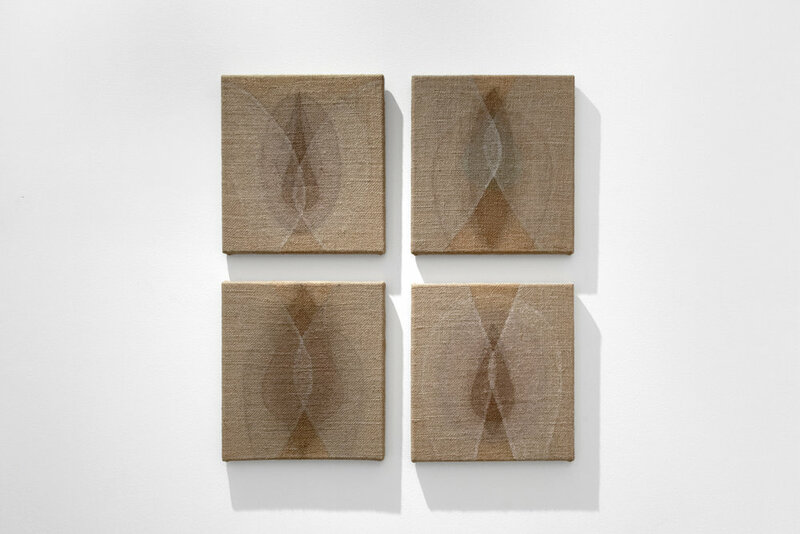 The exhibition features a new series of paintings Garrard created in complete isolation and solitude, surrounded by nature, during a 2-month residency earlier this year at the Joseph and Anni Albers Foundation in Connecticut. 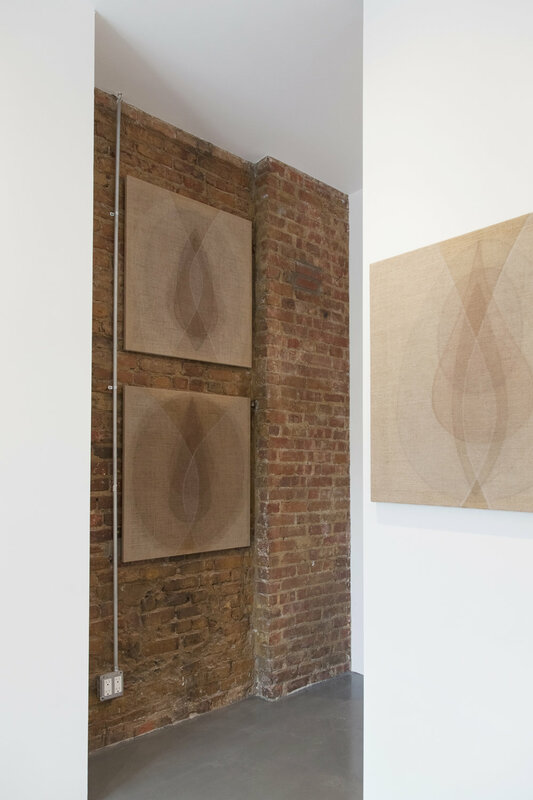 Grounded in a practice that is at once performative and deeply personal, Garrard’s abstract canvases will inaugurate and give life to signs and symbols’ new space. This is Garrard’s fourth solo exhibition. 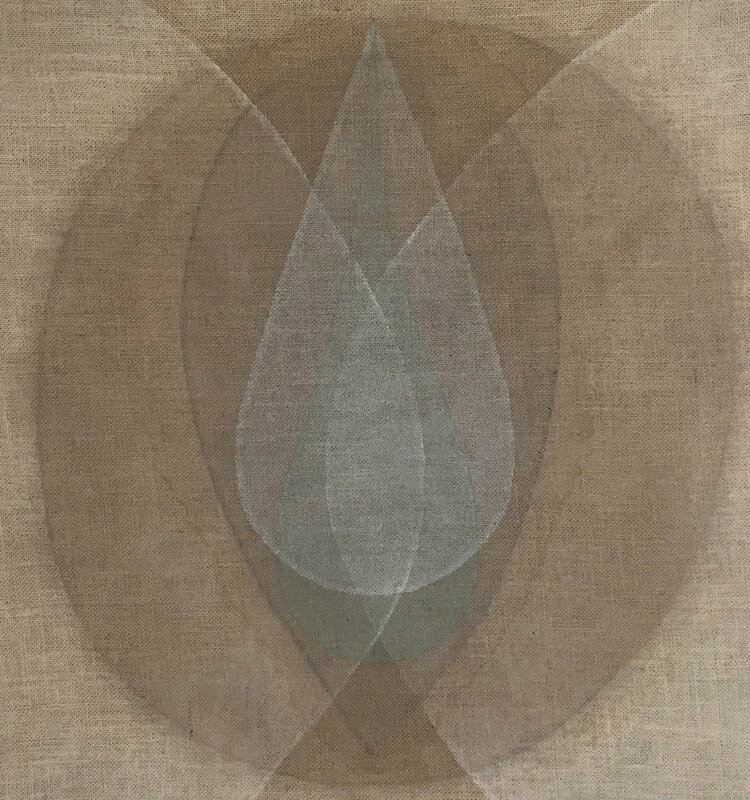 An emphasis on process and performative ritual, the creation and use of natural pigments, and the integration of the body all lie at the heart of Garrard’s painterly practice. 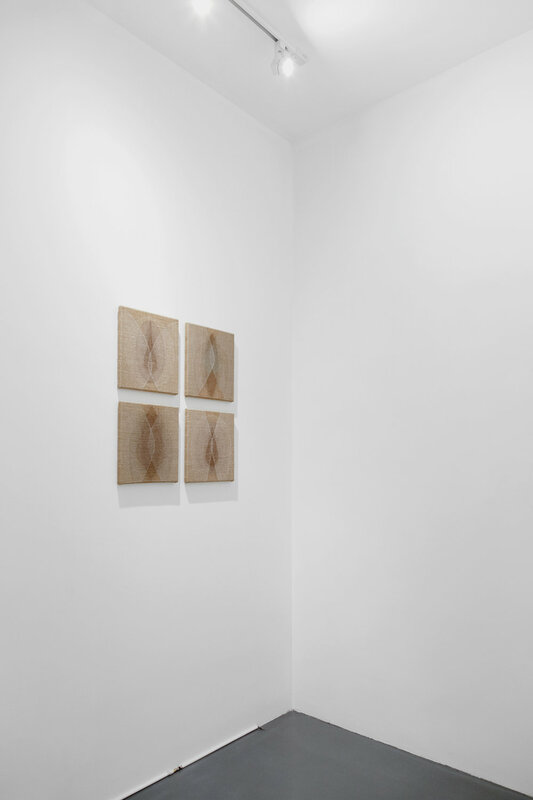 Primal Forms reflects her continued research and experimentation with bodily geometry and the abstraction of the human form. 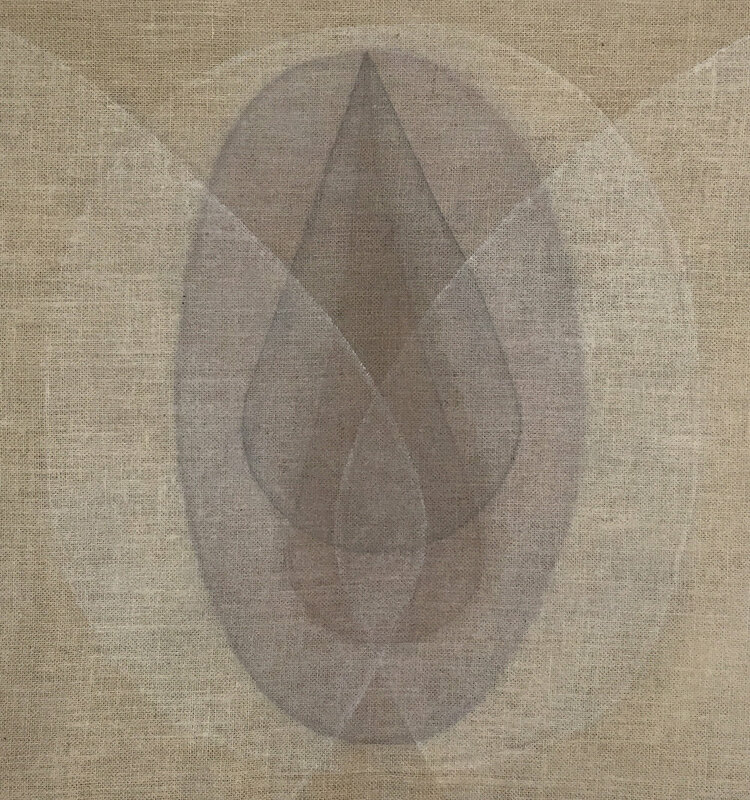 The interlocking shapes in her paintings reflect primal elements that can be seen as both “primitive” and “tribal” as well as cosmic and universal. 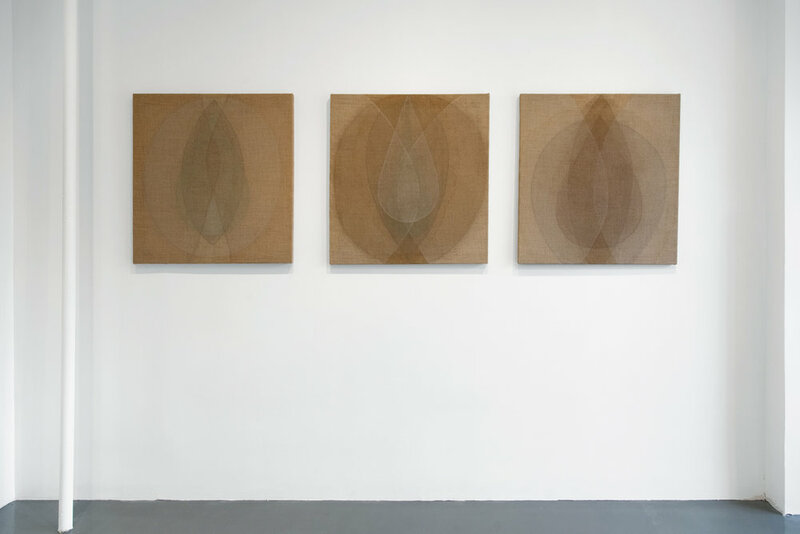 Garrard’s vocabulary of abstract organic forms is self-reflective, echoing her personal geometry, as her own physicality becomes the starting point of her practice. The paintings thus articulate a formal language abstracted from the proportions of the artist’s body. 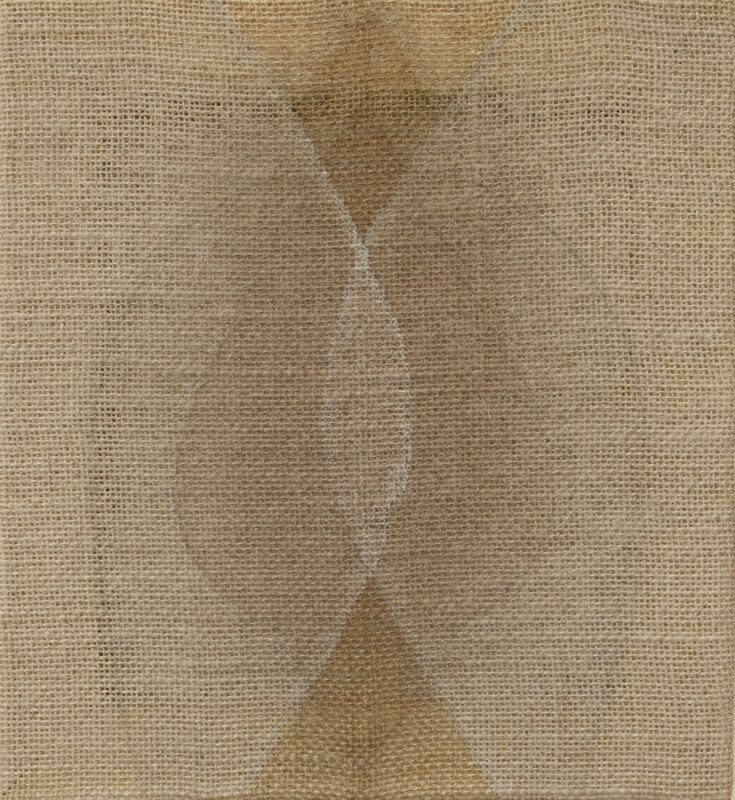 When making work related to the body, the relationship to the universal is paramount for Garrard, who states, “I see the human body as a microcosm, a seed containing all the geometric and geodesic measures of the cosmos, as a container for something infinite.” Created through a ritualistic and alchemical process, each canvas becomes a palimpsest of layered quartz, ash, green earth, mud and walnut, Garrard’s signature earth-based pigments which she makes by hand in her studio from natural materials collected during her travels. 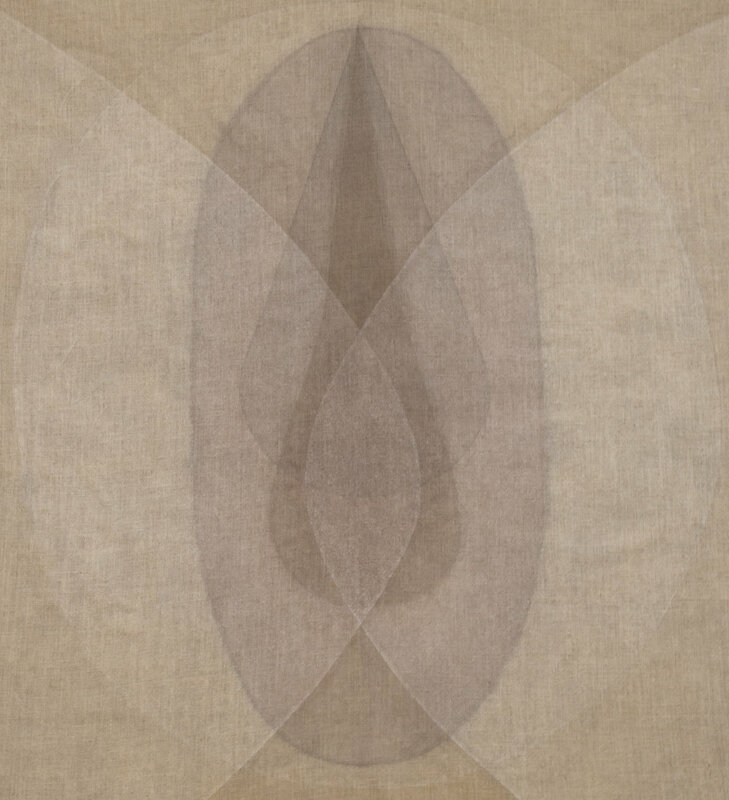 The resulting sensual intermesh transports the viewer into the realm of the unconscious, the primordial forms acting as contemplative spaces, openings beyond time and space. 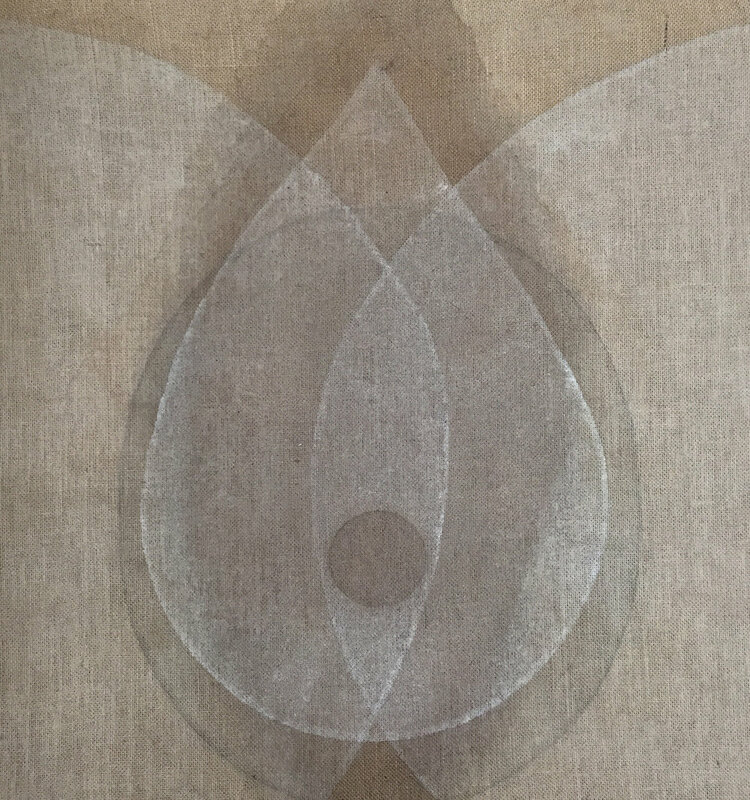 By placing herself within a broader metaphysical context, the body, for Garrard, becomes a vessel of transformation and inward contemplation, inviting us to question our place within the universe. With Primal Forms, the artist converses with the natural world but at the same time travels beyond its physical manifestation to the inner realm of symbols. As reflected in their titles (‘seed red-green,’ ‘seed purple-grey,’ etc. ), the paintings invoke ‘seed’ forms that are germinative, containing within them the primal cosmic energy, a union of male and female. For Garrard, the seed form is reminiscent of a cave, a womb, a tomb—the spaces out of which creation and the cycles of birth and death emerge. 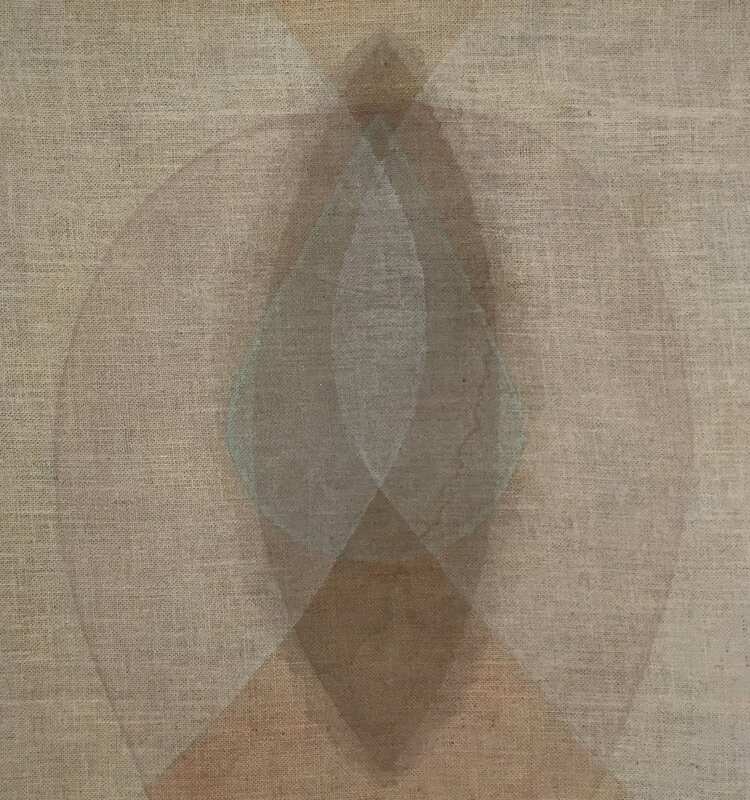 The constant quest for spiritual insight underlying her paintings recalls the work of abstract artist and mystic Hilma af Klint, as intimate inner processes and experiences are transcribed onto the canvas through an idiom of personal and abstract forms. 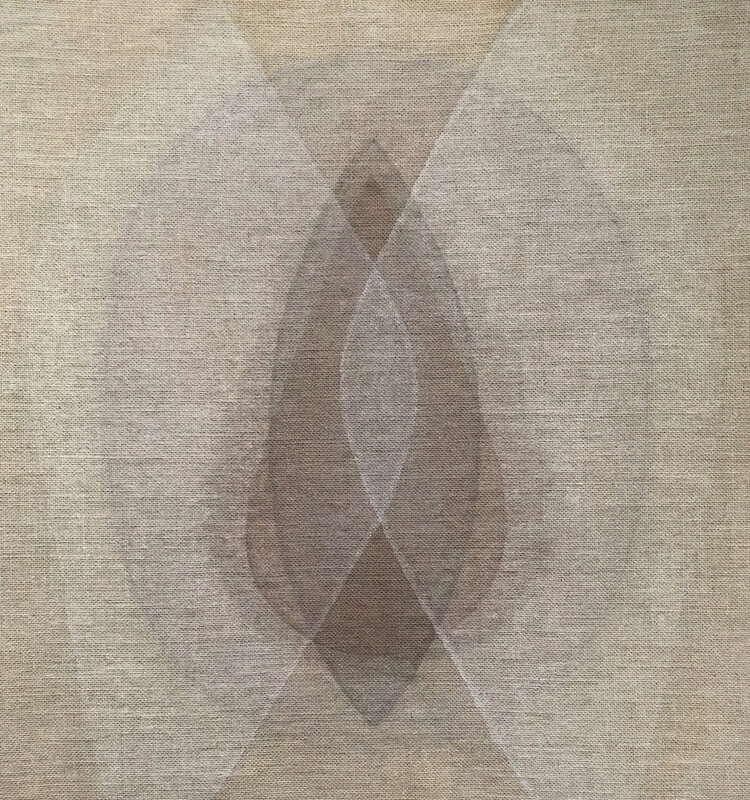 Like a seed that germinates out of itself but grows through the nourishment of its surroundings, Garrard’s process depends on a state of being that is at once constant and evolving, arising out of her inner self yet always transforming through relationships to other organisms and life. rachel garrard was born in 1984 in Devon, England, and currently lives and works between New York and Tulum. While completing her graduate studies at Central Saint Martins in 2009, she gained recognition for performance-based refracted-video works such as Circuition (2009) and Seven Transmutations (2010). Her formal language and artistic development owes much to her personal evolution and upbringing. Raised in a family of scientists, her inquiries are informed by an insistence on research and reason. As a result, she has developed her own sensuous aesthetic in which the spiritual and empirical comfortably co-exist. She blends, re-works and re-combines genres, draws from diverse ancient and contemporary cultures, scientific concepts and substances, the result yielding a multidisciplinary body of work that encompasses performance, painting, drawing, video and sculpture. 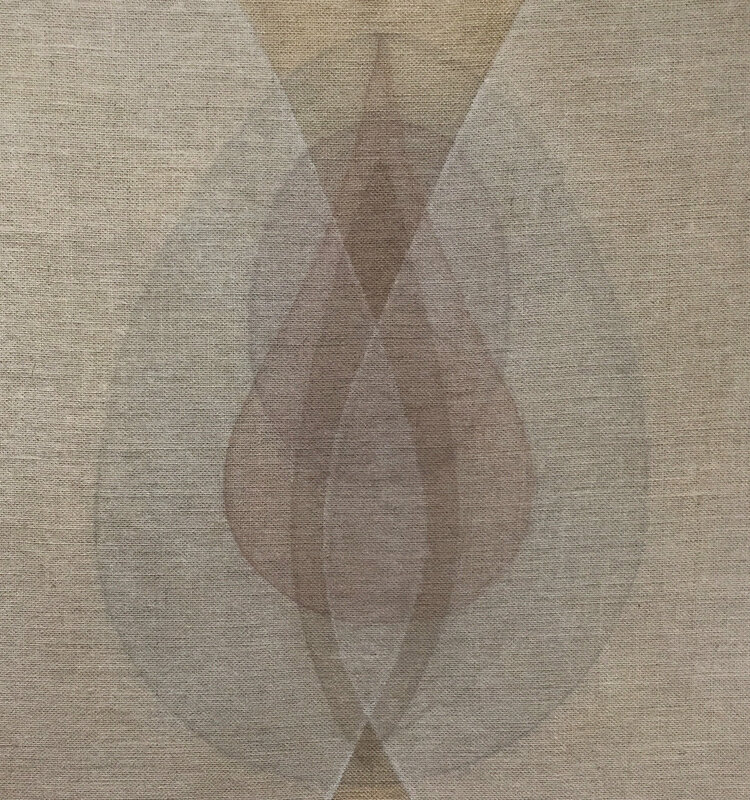 Garrard has been awarded artist residencies at the Atacama Telescope Farm in Chile in 2011, the Center for the Holographic Arts at Ohio State University in 2012 and the Josef and Anni Albers Foundation, CT, Yaddo, Saratoga Springs, NY and Millay Colony, NY in 2018. 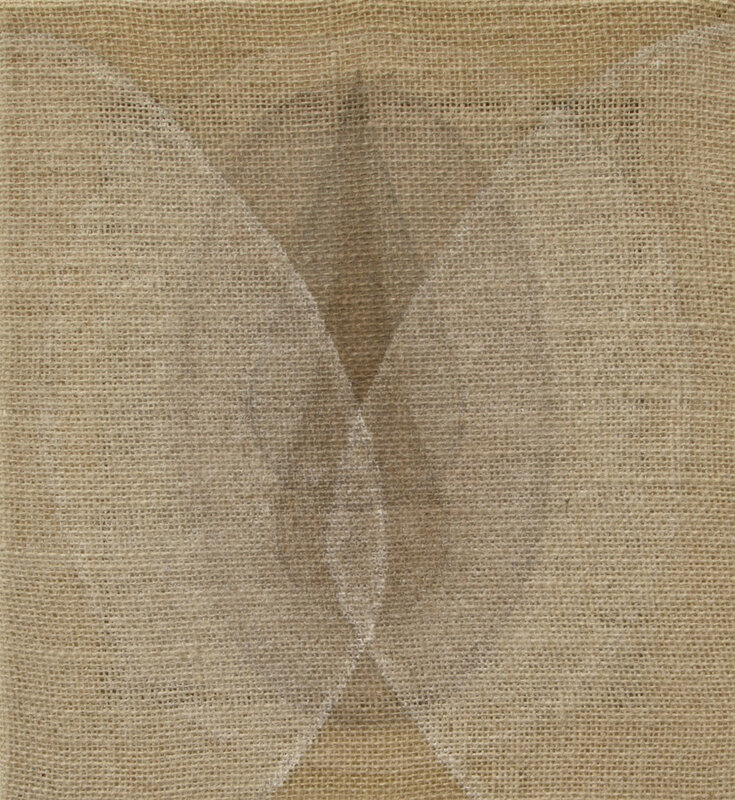 Her work has been exhibited in group exhibitions in New York, at venues such as Participant Inc., Pioneer Works, Eyebeam Art and Technology Center, the National Academy Museum, Marc Straus Gallery, Jack Hanley Gallery, Sundaram Tagore Gallery and Tanja Grunert Gallery, and at Shoshona Wayne Gallery in Los Angeles. Garrard's work has also been exhibited internationally at the Lille Métropole Musée d’Art Moderne, France, Museo Universitario del Chopo, Mexico City, Yota Space Digital Arts Festival, St Petersburg, AmbikaP3, London, Shizaru Gallery, London and Kraftwerk Rummelsburg, Berlin. 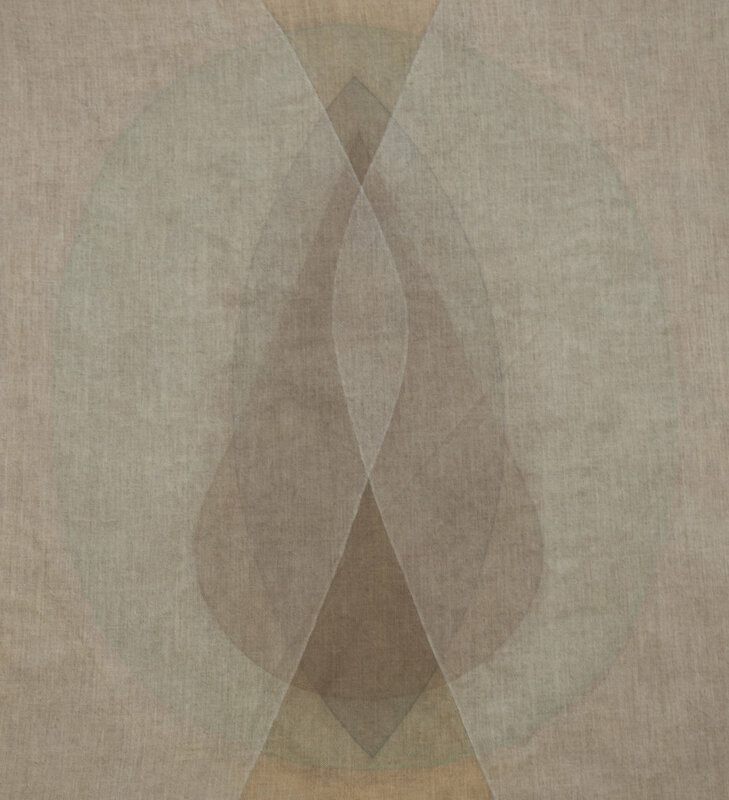 She has been the subject of solo exhibitions in both New York and Miami. This is Garrard’s 4th solo exhibition in New York.